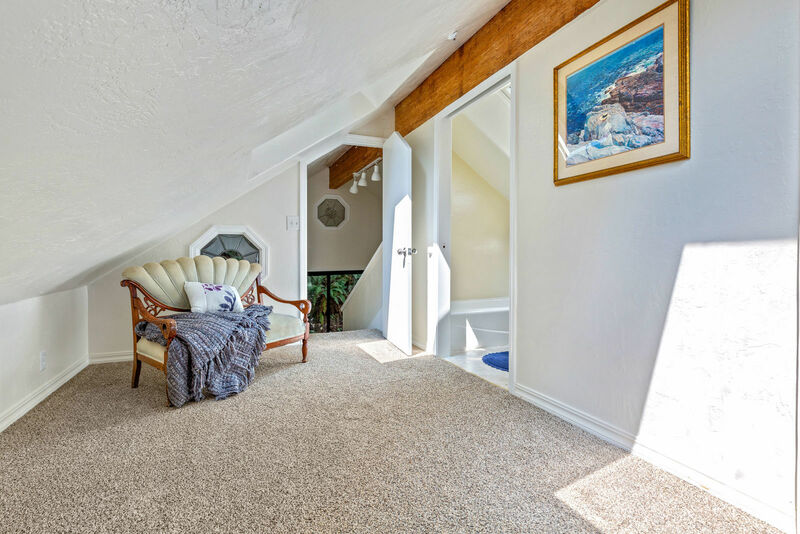 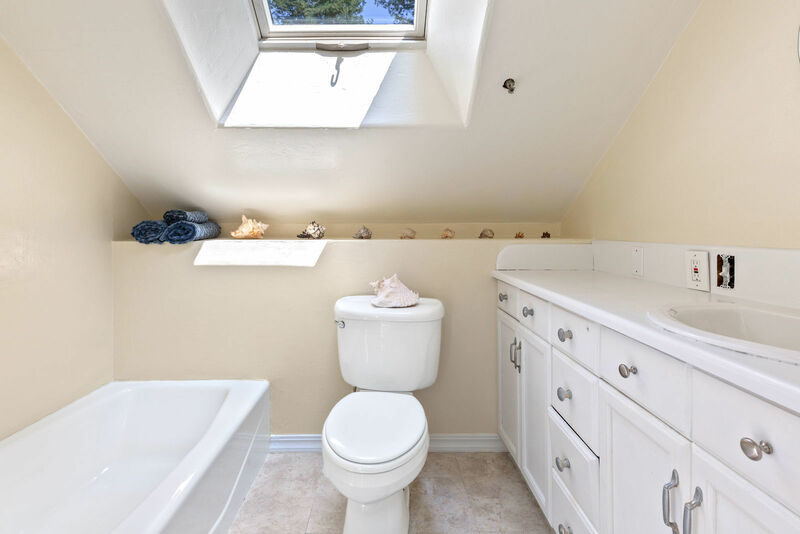 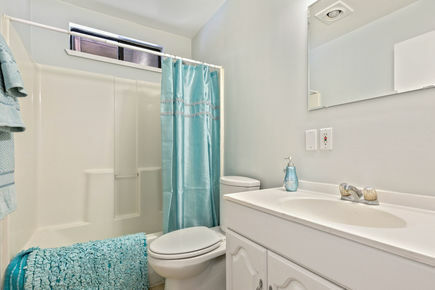 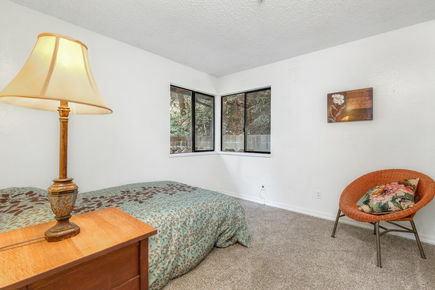 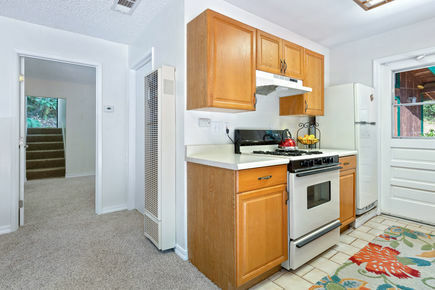 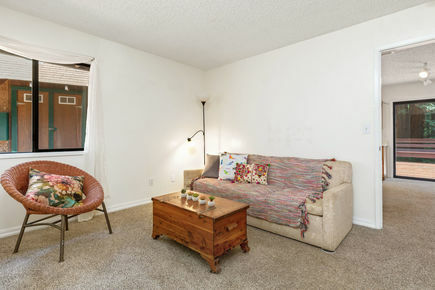 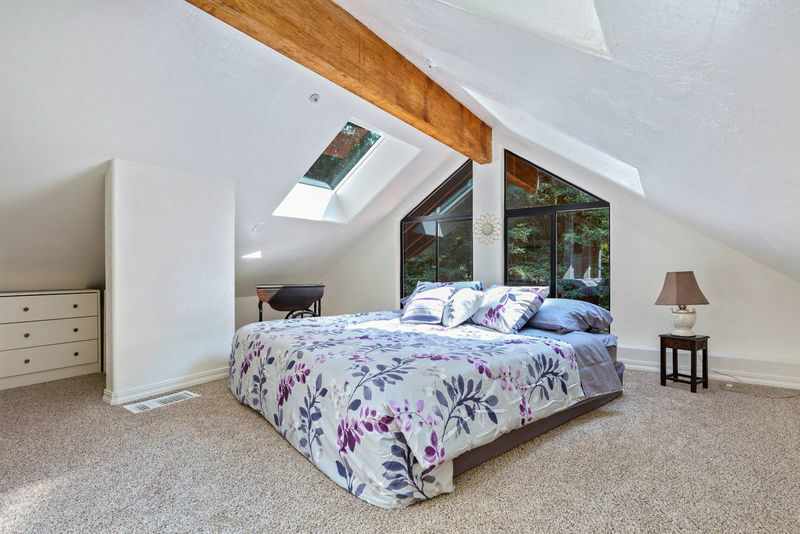 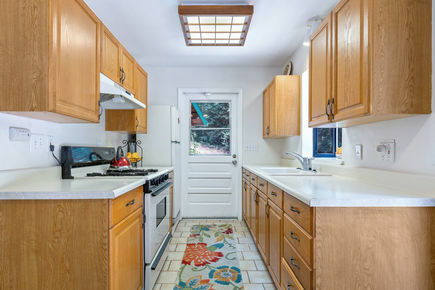 This bright 3 bedroom home features an upstairs master suite with picture windows. 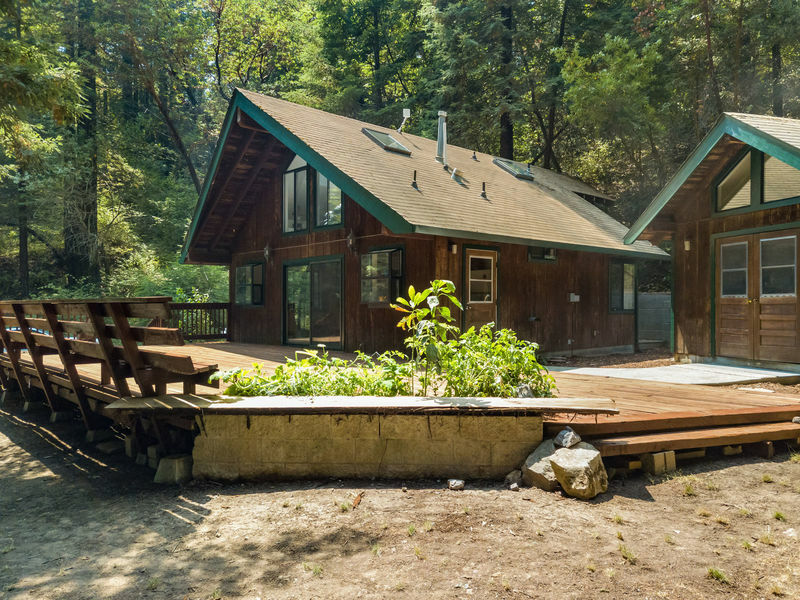 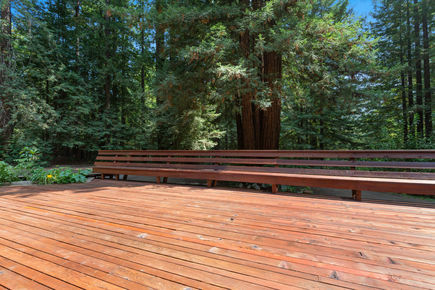 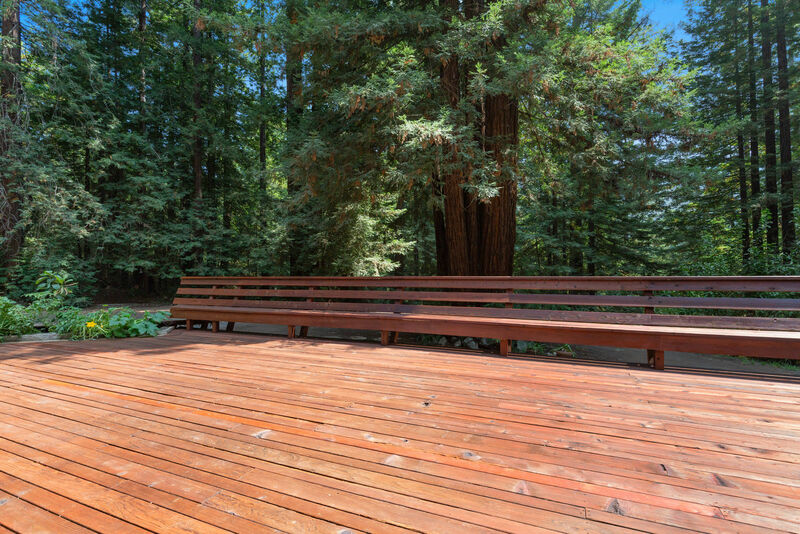 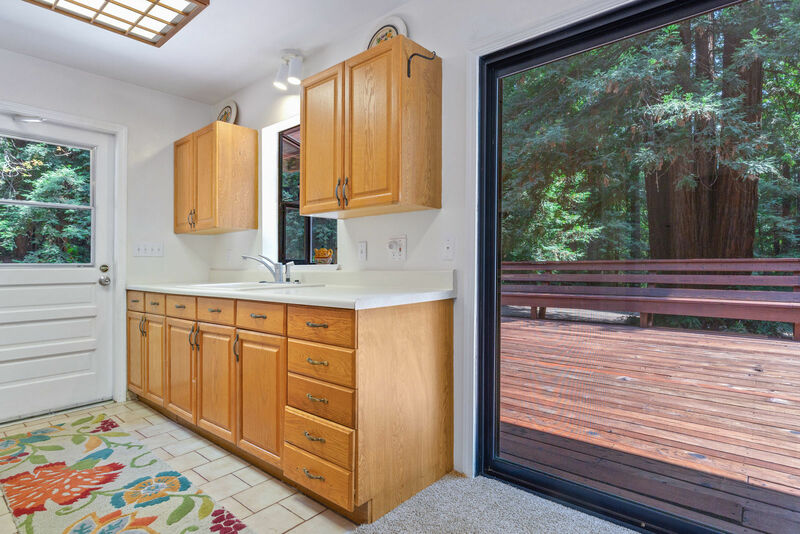 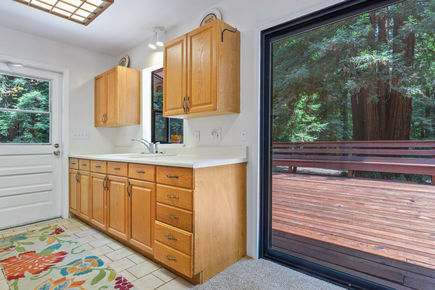 Relax on the large redwood deck overlooking your large flat front yard and enjoy the tranquility of the forest. 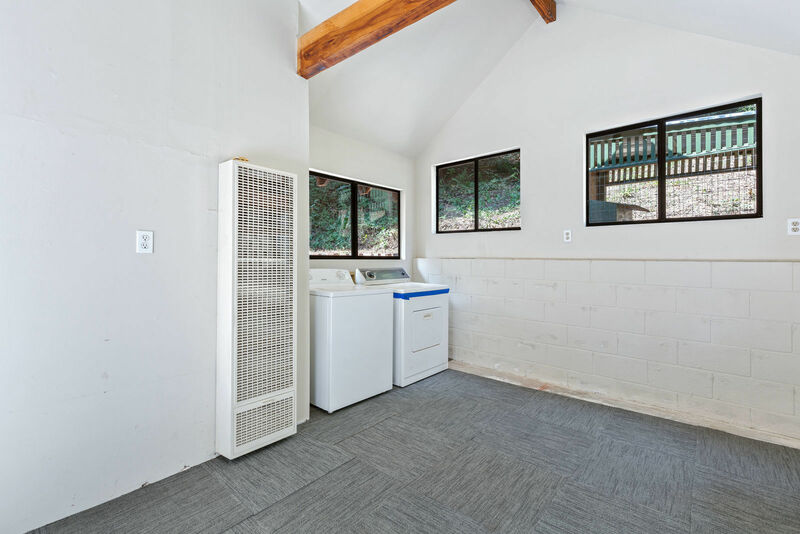 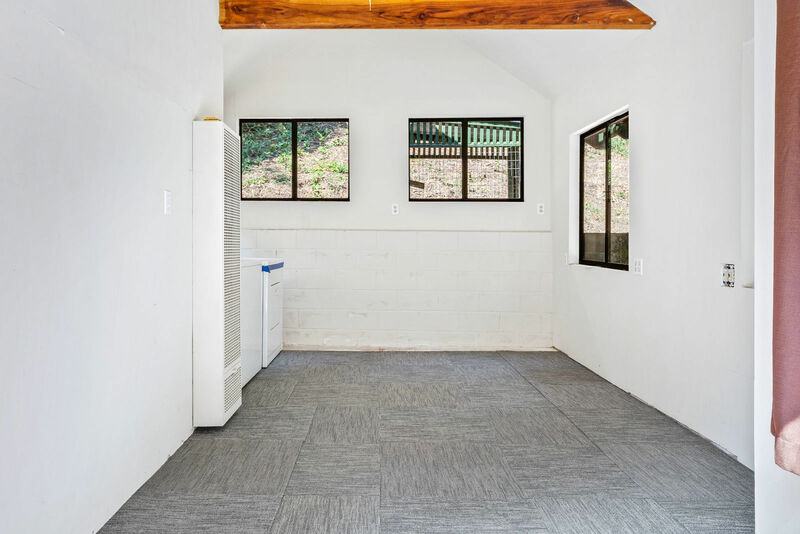 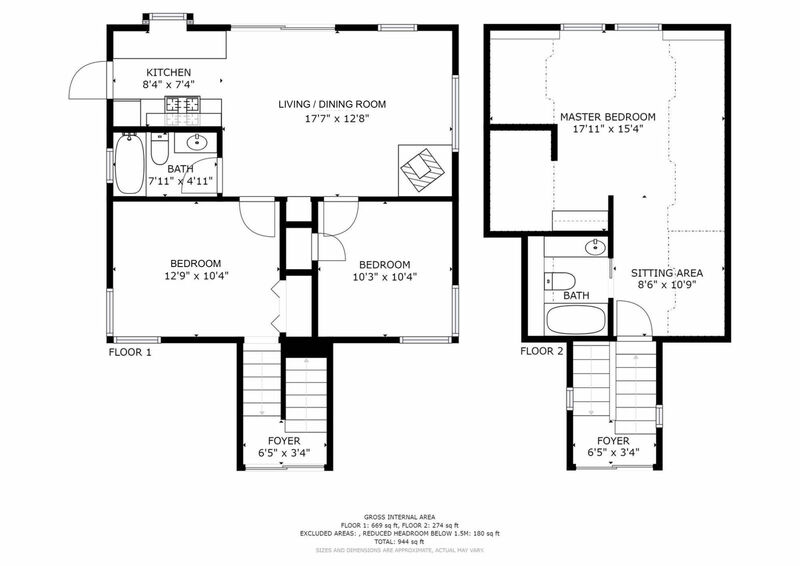 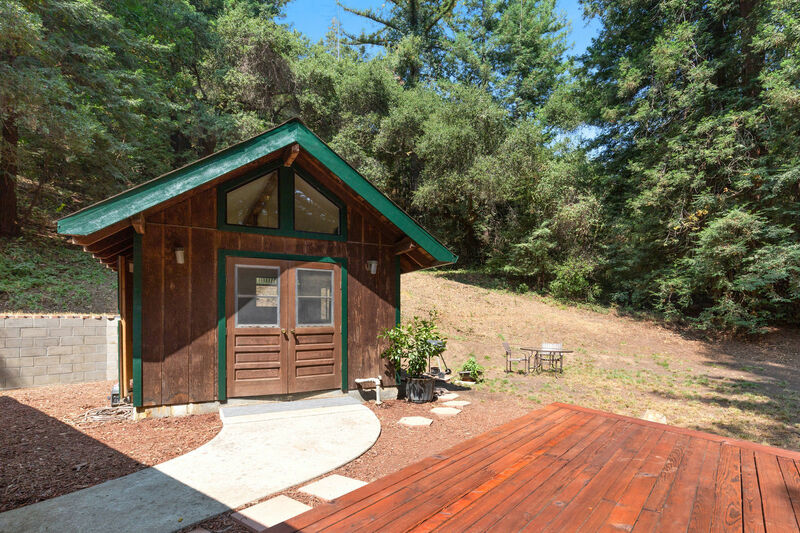 A detached studio perfect for an extra guest room, exercise/yoga studio or office space. 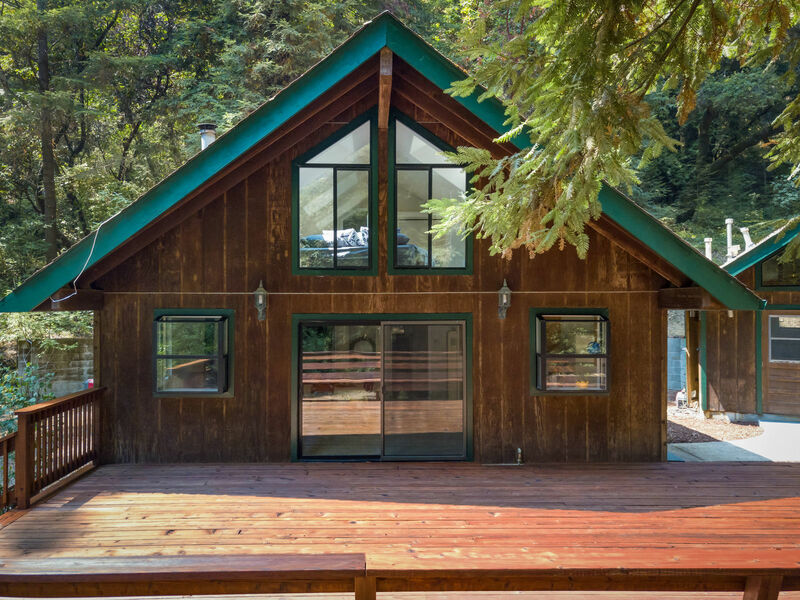 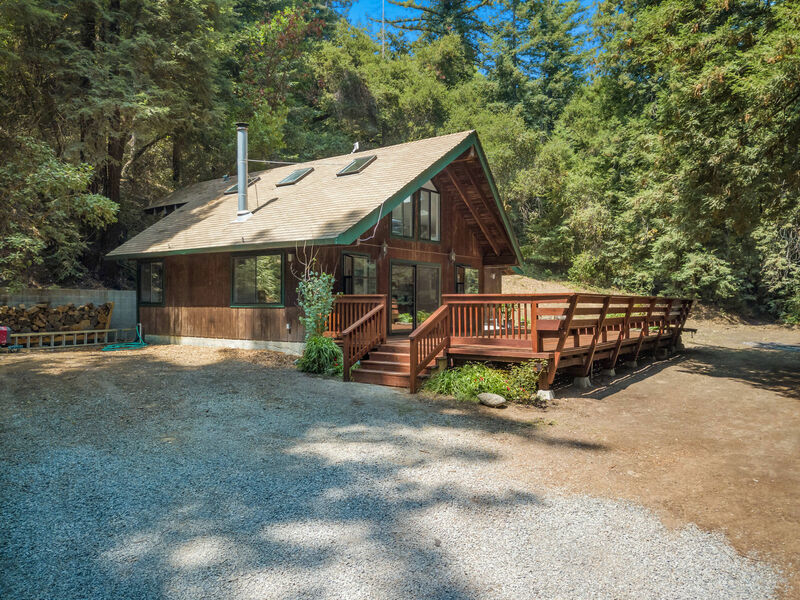 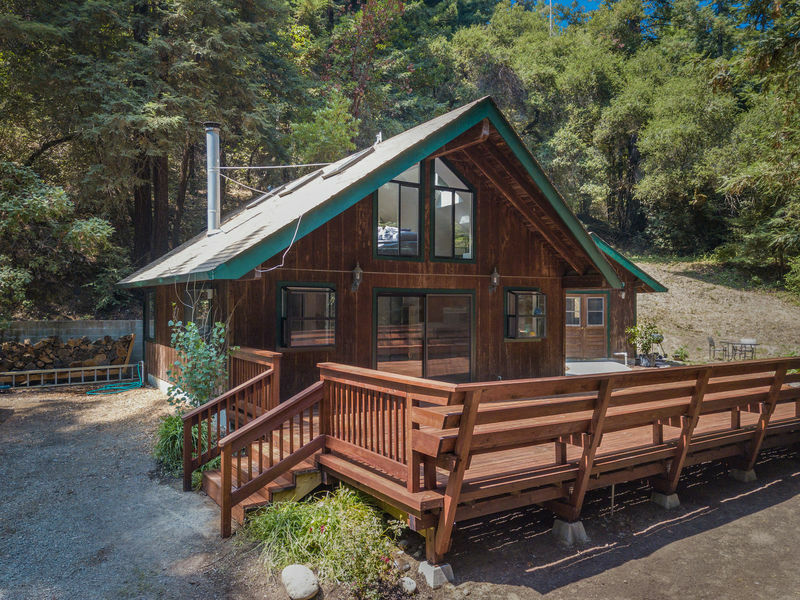 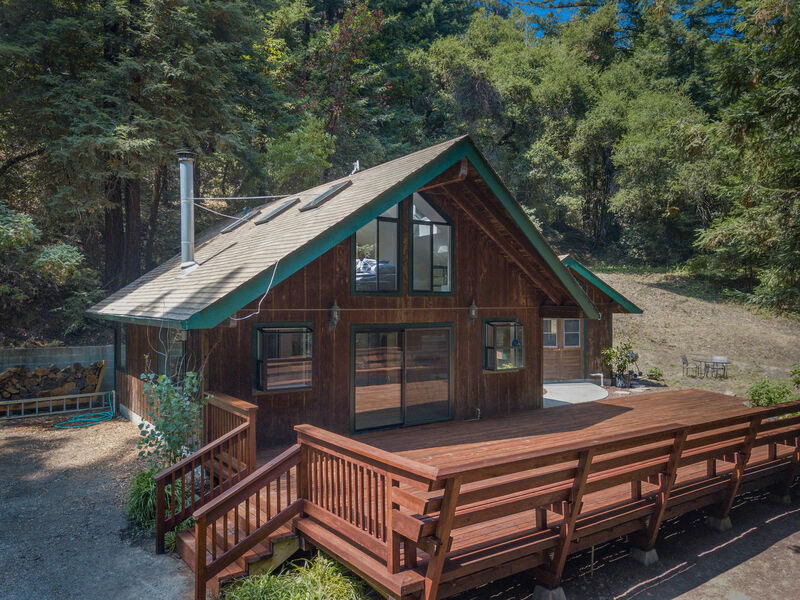 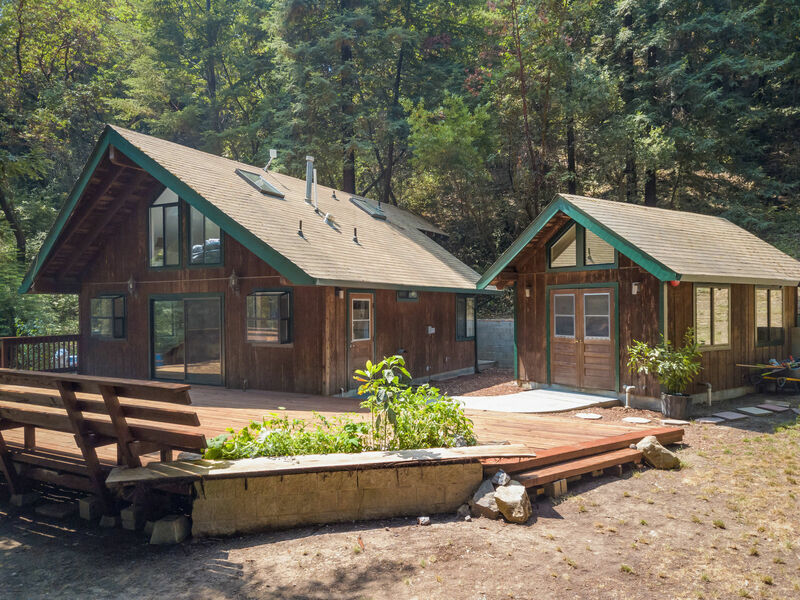 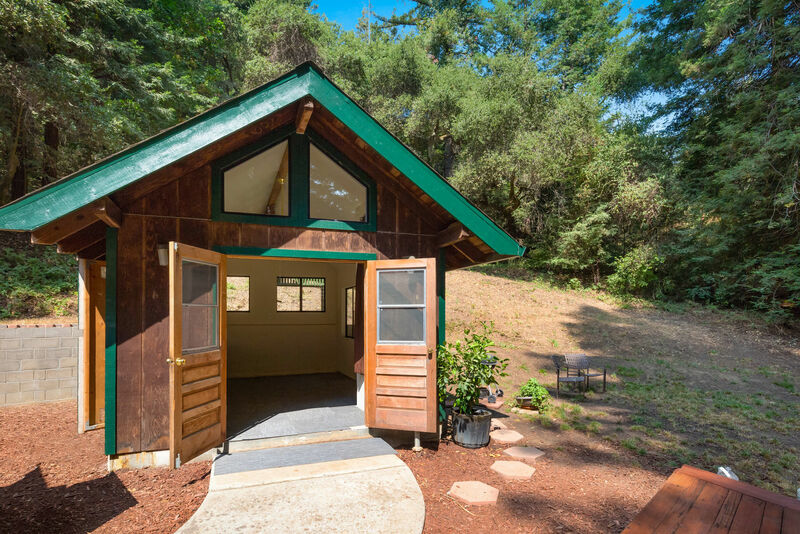 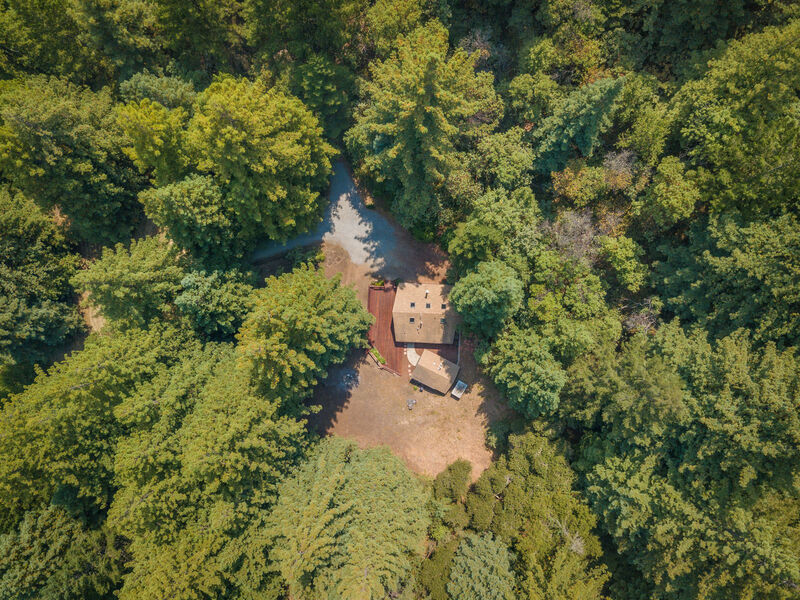 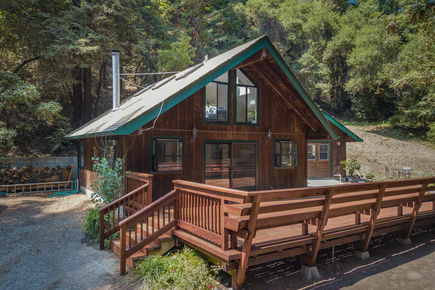 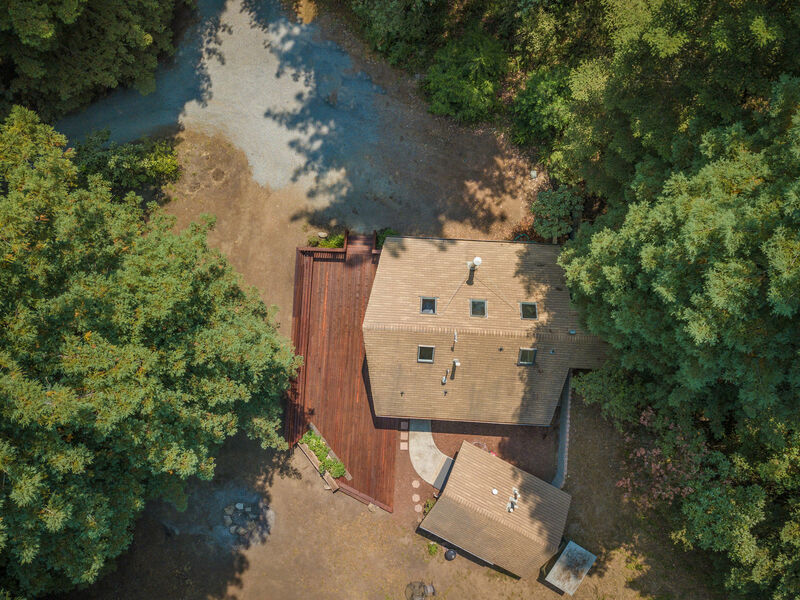 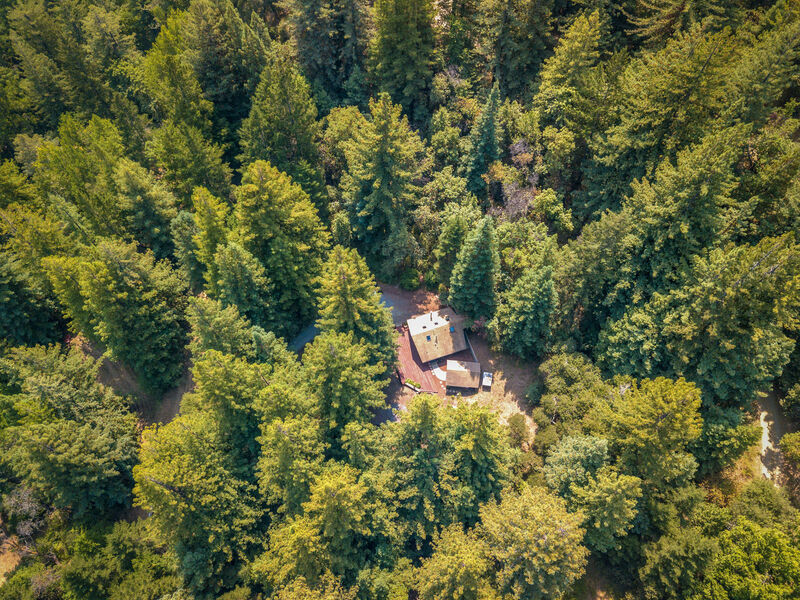 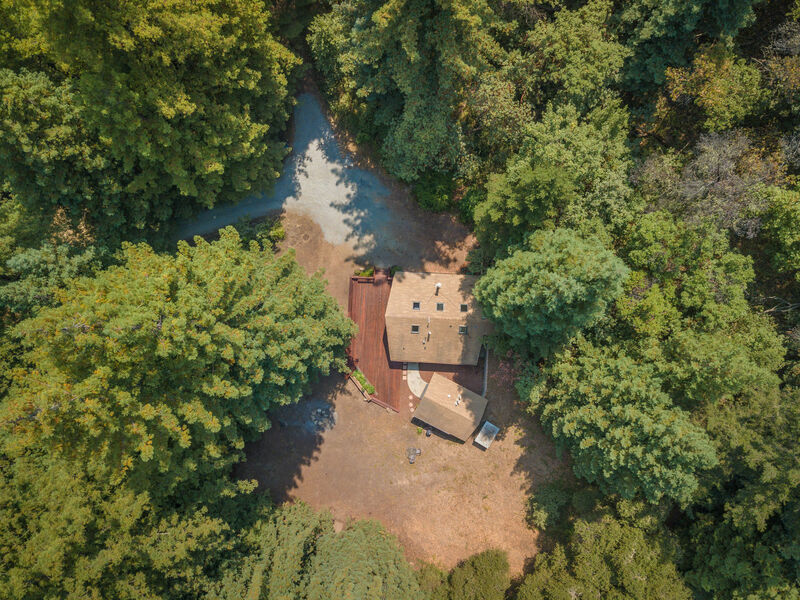 The property is 11 acres of redwood forest and includes a path down to a hidden stream, with plenty of flat usable areas along the way. 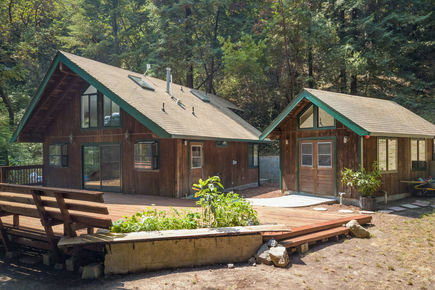 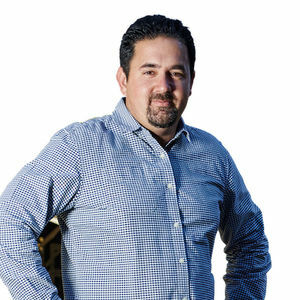 Enjoy the freedom of a solar powered off grid lifestyle with a private well. 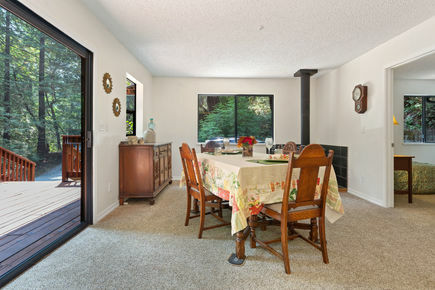 Existing DSL high speed internet. 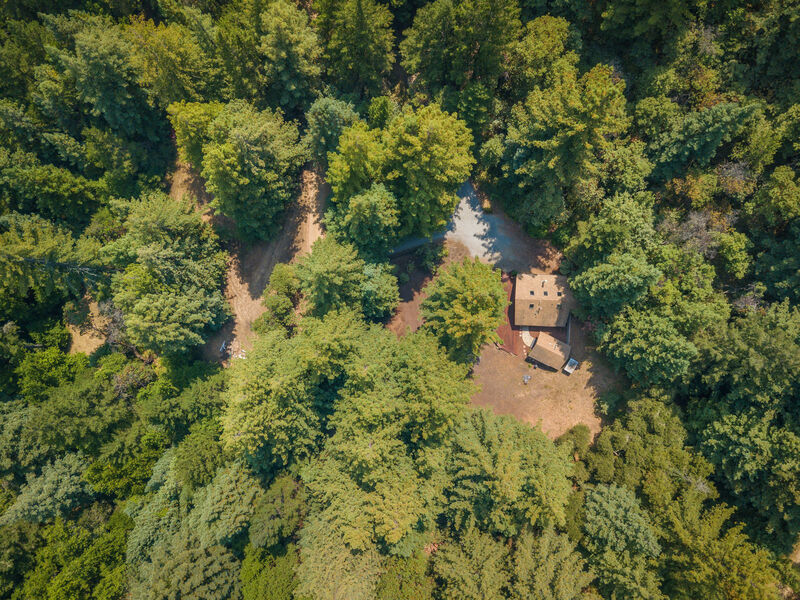 Plenty of room to park RV, ATV, dirk bikes and more. 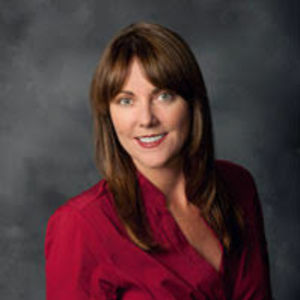 This private, gated community is conveniently located for an easy 30 minute commute to Silicon Valley and the San Jose airport, or 30 minutes to the Santa Cruz Beaches. 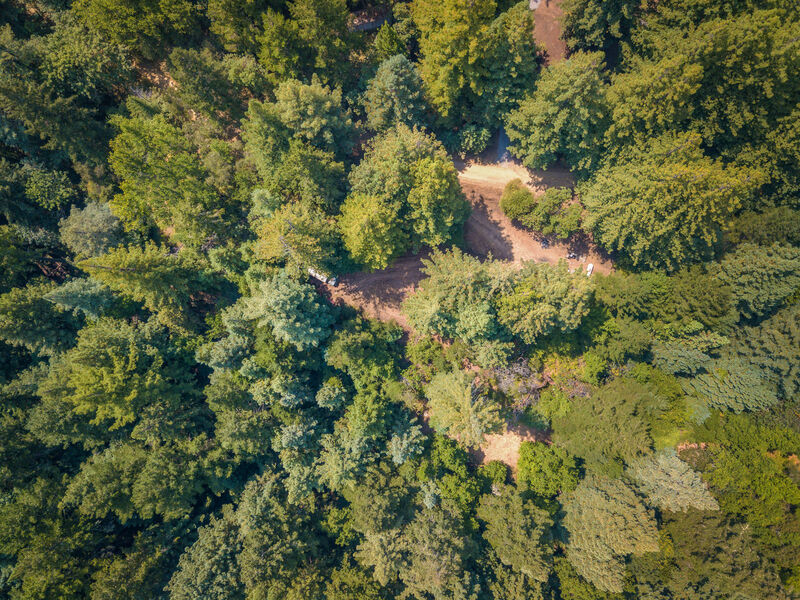 Privately maintained two mile road, half of which is paved and half is unpaved. 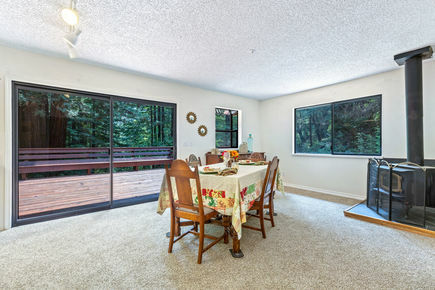 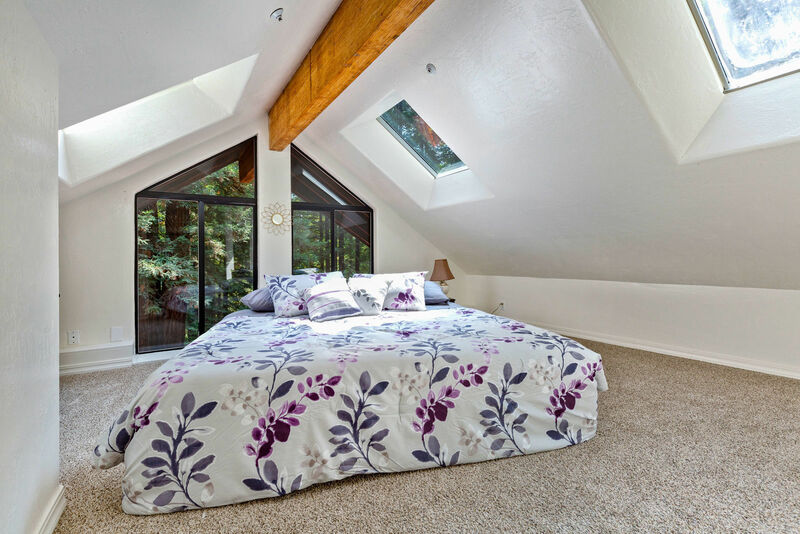 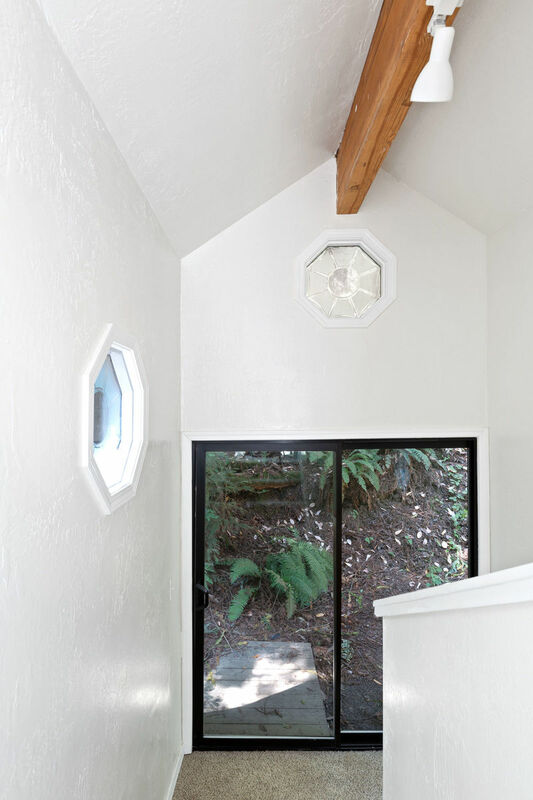 Enjoy expansive mountain views as you make your way to this private sanctuary.